September 17, 2015  Twenty-four students showed up at the school Thursday morning in attire featuring the Confederate battle flag — a long-standing violation of their high school's dress code. August 29, 2015  Alison Parker and Adam Ward were shot and killed while reporting on live television. The two journalists loved their jobs, and the viewers of WDBJ-TV in Roanake, Virginia loved them back. August 28, 2015  Gov. Terry McAuliffe promised to introduce gun-control legislation. 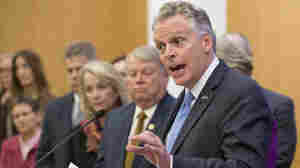 McAuliffe spoke two days after a gunman killed two journalists during a live broadcast. August 27, 2015  The station paused at 6:45 a.m. ET to remember reporter Alison Parker and cameraman Adam Ward, who were killed during a live broadcast. 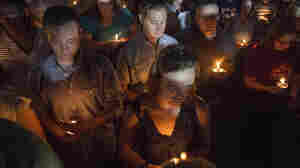 August 26, 2015  Vester Lee Flanagan allegedly shot Alison Parker, 24, and photojournalist Adam Ward, 27, at a shopping plaza Wednesday morning. He died of a self-inflicted gunshot wound, police say. August 11, 2015  University of Virginia student Martese Johnson was left with blood covering his face after his arrest. His injuries required 10 stitches. 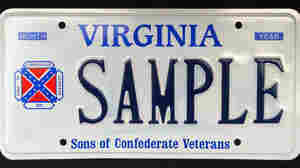 August 7, 2015  It remains unclear how quickly the Department of Motor Vehicles will recall the approximately 1,700 Confederate license plates issued throughout the commonwealth. 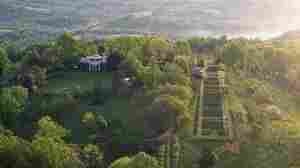 August 2, 2015  A new app uses geolocation to bring to life a lesser-known section of Thomas Jefferson's Virginia estate — Mulberry Row, which was the bustling enclave of skilled slaves who worked at Monticello. 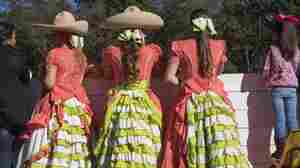 July 31, 2015  Citing a June U.S. Supreme Court ruling, the federal judge effectively vacated a 14-year-old state injunction that prohibited officials from refusing to issue such plates. July 10, 2015  After the ruling, Bob McDonnell said he never violated his oath of office; his lawyers say they'll continue to fight the conviction. July 8, 2015  Ex-Gov. 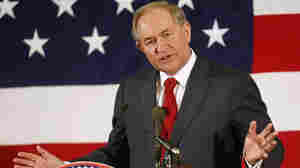 Jim Gilmore, R-Va., is the 15th Republican to get in the presidential race. He's an Army veteran, speaks German, played the clarinet competitively and loves Pizza Hut and Miller Genuine Draft. July 2, 2015  The Native Americans had contact with earliest English settlers and included Pocahontas among their members.